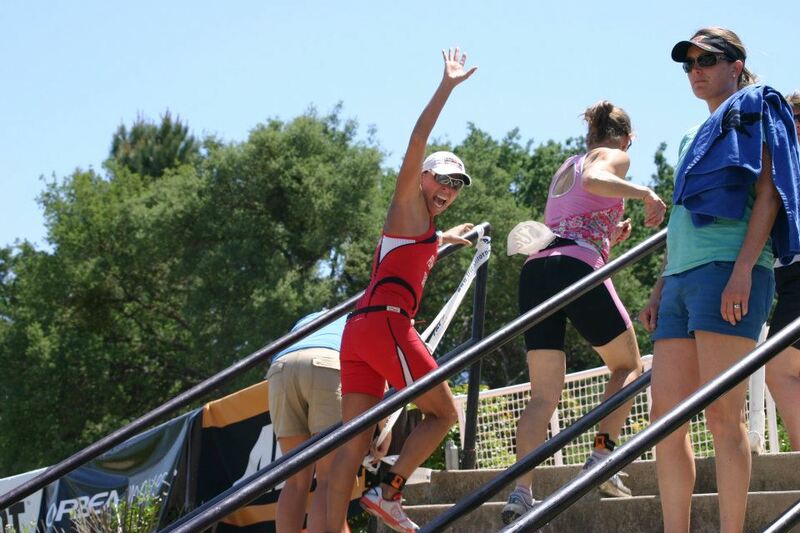 Great weekend of training, 3 weeks out from Vineman 70.3. After our swim, we had a light brunch and then went out for 40-mile bike on a new route. I love new routes! However, I do not love crazy cross and headwinds, but you gotta do what you gotta do. This would typically be my mentality that relates to just doing the work and dealing with uncontrollable factors. I am usually a pretty energetic and determined person so when I am challenged with things like wind, hills, etc. I can usually keep a cool head- but not today. When I looked down at my bike computer and saw 13 mph, 14 mph, and high 17 averages (when I jumped out was out of the saddle mashing on the flat) and was not even able to keep my husband in sight, I got very frustrated and continued to do so. Despite the feeling that something did not feel right, I kept chalking it off to the wind and my denial/lack of acceptance that physically that’s what I am at today. BUT I wasn’t winded, my legs were feeling good, but I just couldn’t get my average up to where I needed it be to. This type of dissonance leaves me very, very uncomfortable and on this day down right FUSTRATED. Okay so I have to confess- I actually felt so frustrated that I had the thought of wanting to stop, throw my bike, and tantrum like a 5-year-old. Yes, I admit it, I am only human and I have my days, rarely do I have these days, but I have them. My mind ended up turning into a whirlwind of negativity. My husband kept coming back to check on me but I was in no condition for rational thinking. At one point, around mile 25, I had to say “something is not right and I don’t know what it is so just keep going.” When we hit the park at mile 30 I took a quick look at my bike and discovered that my front break was rubbing! Argh!!!!!!!!!!! We did a quick fix and made our way. Felt much better but I was not totally sold on the idea that it was ALL a mechanical issue. Which brings us to Sunday’s run. This is where my scientific mind comes into play- if yesterday was truly a mechanical issue, and if my running legs showed up for the party, then I would be able to execute my run as planned. If not, then I was truly in denial/non-acceptance of what I felt yesterday and Sunday’s run would prove to be another challenging day, but this time I would be mentally prepared. My goal for Sunday’s run was 13 miles total, 2 mile warm-up but progressively getting faster, kick it up for 9 miles at IM 70.3 race pace 7:15 to 7:25-30 min/mi with the last mile negative split, then cool down last 2 miles at 8-8:20 pace. Well I am happy to report that my legs showed up and the run felt strong. Once again I am humbled by the multisport lifestyle and the rich learning experiences that we can draw from choosing to do what we do. I always say that the true nature of triathlon is being able to quickly assess and make efficient adjustments to race, or training, day circumstances- physically, mentally, and emotionally. Saturday showed me that I must stay diligent and mindful of when my emotions start to get out of control, and control them! Sunday showed me that when I allow myself to be prepared mentally and physically then executing the plan as desired can happen beautifully. Keep reaching for your peak my friends and continue to let your light shine!!!! Previous Previous post: Inspiration- You will do this. You have been here before.